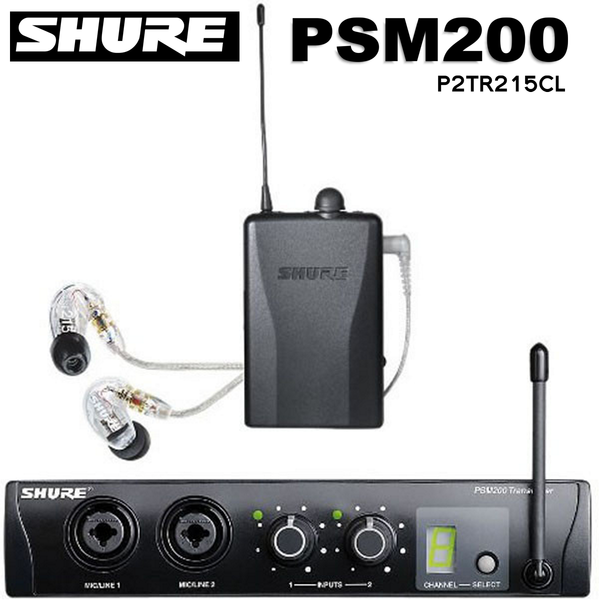 The PSM200 is a frequency-agile, in-ear monitor system for use in a wide variety of applications. 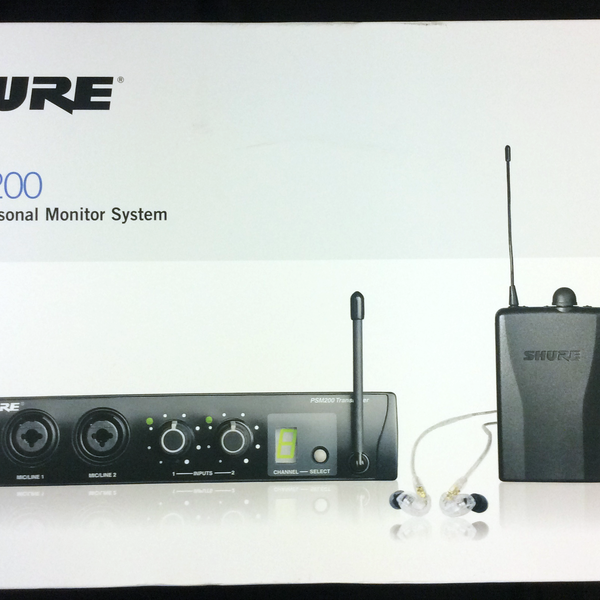 The P2R Receiver functions as a wired receiver, a wireless receiver, or both at the same time. 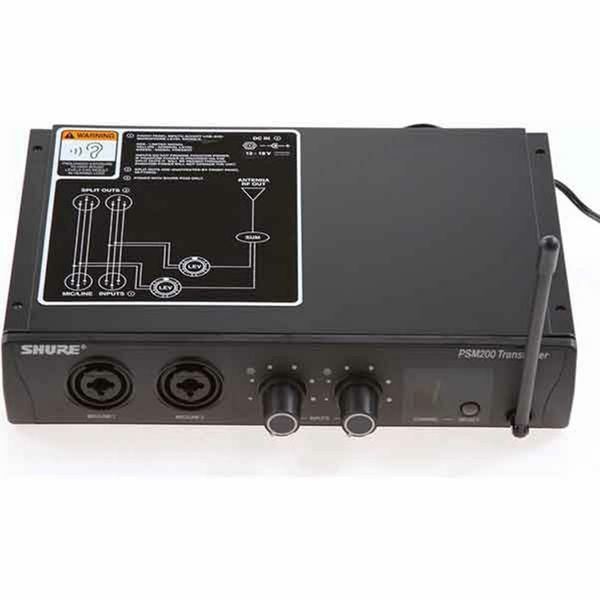 The P2T TransMixer allows the connection of two line-level or mic-level inputs directly into the transmitter. The two signals can then be mixed independently. 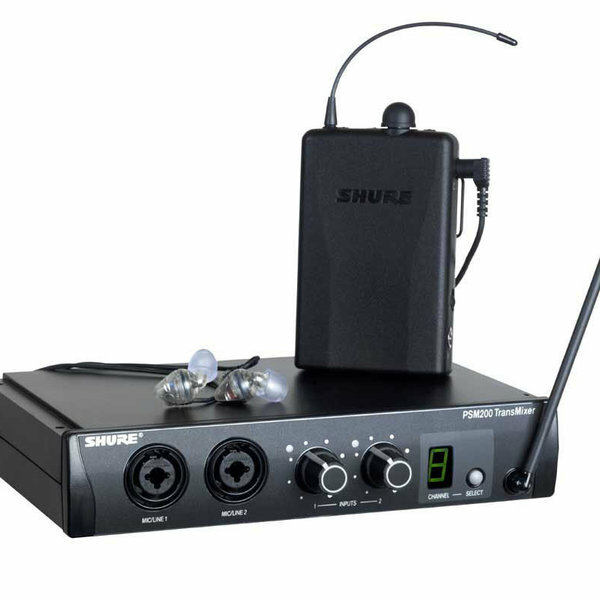 Microphones or instruments can be directly connected to the inputs, line outputs from a mixing console, or connected to Shure’s Aux-Pander. In short, no matter what the output device, you can probably plug it into the TransMixer.